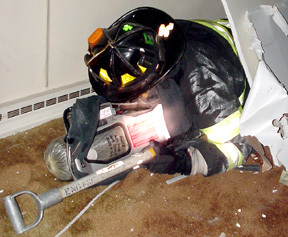 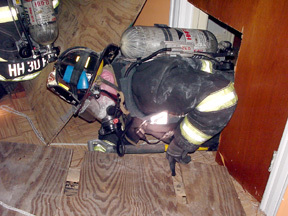 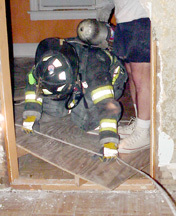 Setting up and inching through the next obstacle representing a collasped floor blocking the escape. 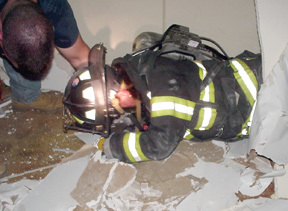 Successful completing of the drill. 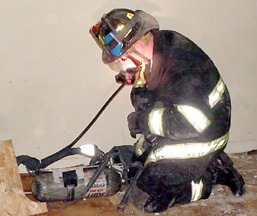 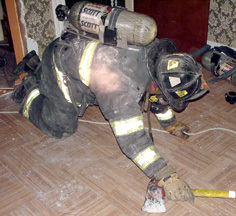 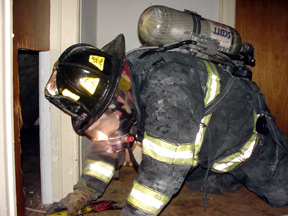 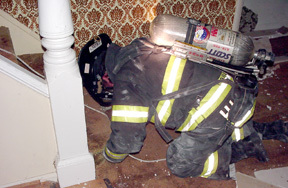 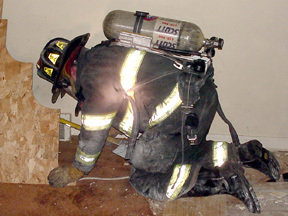 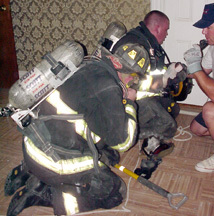 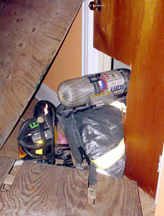 Trainer checking on the welfare of the firefighter.